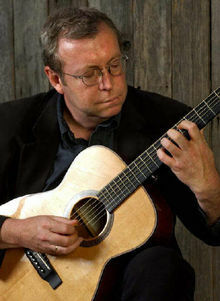 Ged Foley is well known in Celtic circles as one of Irish music's most gifted guitarists. He was a member of Scotland's Battlefield Band, a founder of England's House Band, and was a key part in Irish super group Patrick Street. A talented singer, instrumentalist, arranger and producer, Ged provides a strong and creative approach to rhythm guitar, and lifts those he accompanies. Born and raised in North East England, Ged now makes his home in Ireland. Recent recordings include Patrick Street's On the Fly and Celtic Fiddle Festival's Équinoxe, both on the Loftus Music Label.